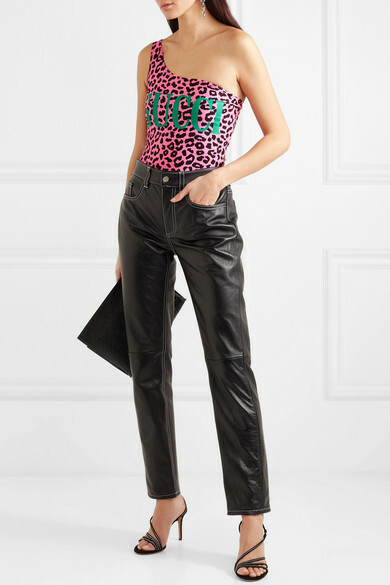 Gucci's bodysuit is boldly printed with leopard spots, inspired by the glam rock scene of the late '70s and early '80s. 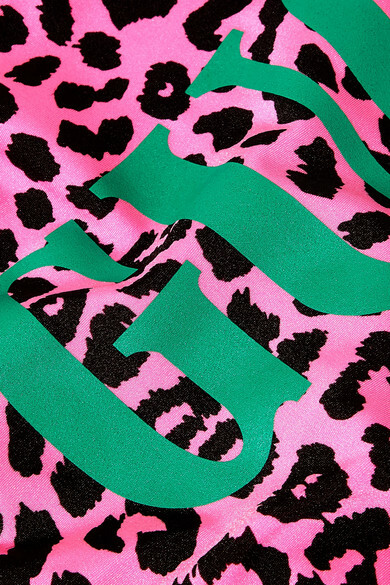 Cut from smooth stretch fabric for a sculpting fit, this one-piece is stamped with the house's logo in sparkly green letters across the front. 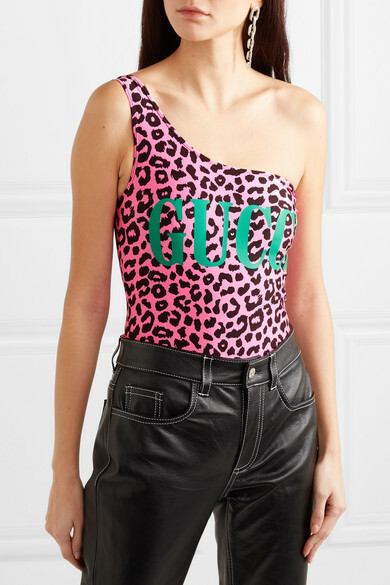 Style it under jeans or a mini skirt. Shown here with: MM6 Maison Margiela Pants, Isabel Marant Sandals, Loewe Pouch, Jennifer Fisher Earrings.